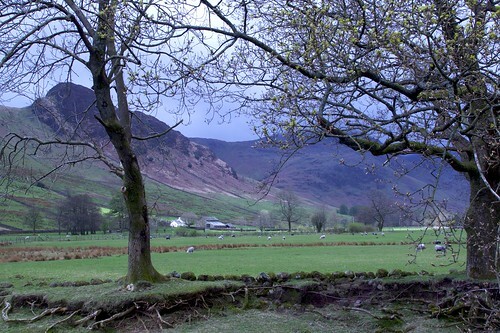 Langdale is known to archaeologists as the source of a particular type of Neolithic polished stone axe head, created on the slopes of the Pike of Stickle and traded all over prehistoric Great Britain and Europe. It also supplied stone for some Bronze Age items, such as stone wrist-guards. Neolithic cup and ring marks are found on the Langdale Boulders at Copt Howe.The Langdale Valley runs west of Ambleside up to the Langdale Pikes. Pike is a local term for peak.